Important! Update DYMO Label Software to version 8.7.2 or above if you’re experiencing issues during printing. You need to install DYMO Label Software version 8.7.2 (or above) to work with WooCommerce DYMO Print. 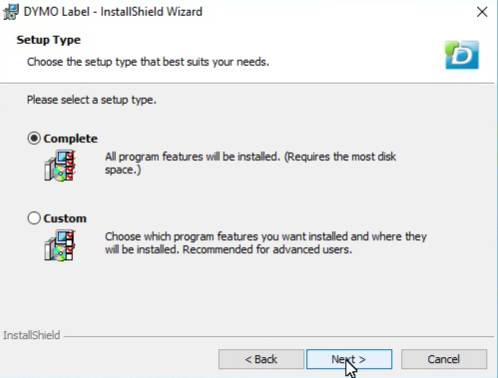 If you’ve an older version installed, uninstall the software from your system before installing the latest version. Go to dymo.com to download the latest DYMO Label Software for Mac or Windows. DYMO Label Software 8.7.2 (MAC) or 8.7.3 (Windows) is the latest version. You need at least DYMO 8.7.2 installed to print with our plugin. After downloading the software you need to install it. Click here to watch a video showing you the complete installation of the DYMO Label Software. After installation click Finish to end the installation proces. Congratulations: you’ve installed DYMO Label Software. IMPORTANT: Restart your system after installation. This is necessary to run the DYMO Web Service.